To find out more information about this partnership, visit bluegrasscellular.com/explorekentucky. 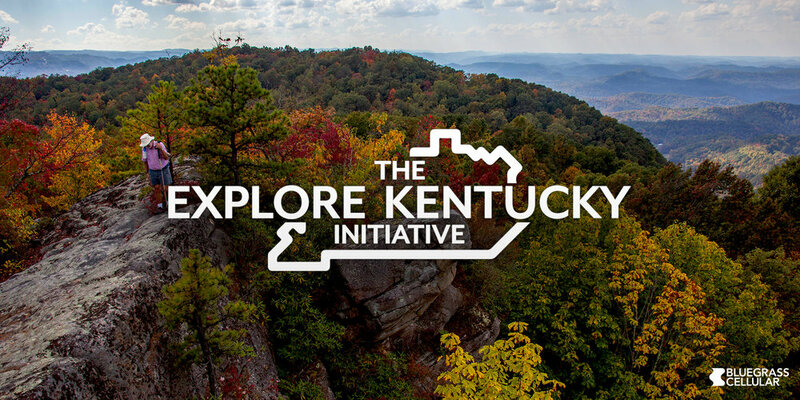 Based in Frankfort, Ky., the Explore Kentucky Initiative is a local organization dedicated to inspiring active lifestyles in Kentucky’s outdoors. The initiative was founded in 2013 when founder, Gerry James, created a social media campaign called #explorekentucky as a way to showcase Kentucky’s scenic areas. The initiative has since grown and provides educational, experiential and aspirational opportunities to explore the state. For more information on Explore Kentucky, visit explorekentucky.us. Follow Explore Kentucky on Facebook at facebook.com/ExploreKentucky , Instagram at instagram.com/explorekentucky, and Twitter at Twitter.com/ExploreKentucky. Headquartered in Elizabethtown, Ky., Bluegrass Cellular delivers superior nationwide cellular services to over one million people across 34 counties in Central Kentucky. Started in 1991, Bluegrass Cellular offers the latest devices and ultra-fast data speeds through XLTE technology over an expansive 4G LTE network, in addition to its customized integrated business solutions. And with 19 company-owned retail stores and 16 authorized agent locations, locally owned Bluegrass Cellular offers more Customer Care Centers than any other carrier in Central Kentucky. For more information on Bluegrass Cellular plus local store hours and information, visit bluegrasscellular.com or call 1-800-928-CELL. Follow Bluegrass Cellular on Facebook at facebook.com/bluegrasscellular, on Twitter at twitter.com/bluegrasscell and on Instagram at instagram.com/bluegrasscell.